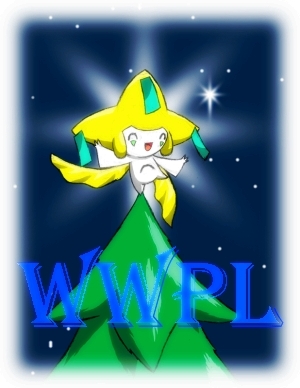 This is officially the first Tournament of the fourth season of Worldwide Pokemon League. With Latios winning the first season, Fan1 winning the second season, and Sarge51 winning the third one, a fourth season winner could be just around the corner. We will be using the web-based pokemon simulator game called Pokemon Showdown. Not only does this simulator not require a download, but it's simple and efficient. Suicide Clause - You cannot use the moves Explosion, Selfdestruct, or Destiny Bond when both players are using their last Pokemon; this will cause a tie. Moody Clause - No Pokemon may have the ability Moody. Evasion Clause - No Pokemon may use a move that would increase its Evasion. Ability Evasion Clause - No Pokemon may have an ability that would increase its Evasion (Sand Veil and Snow Cloak). This will be an Uber tournament. All Pokemon will be able to be used. When you sign up, please give me your Pokemon Showdown name if you have one registered already. Just go ahead and sign me up. I'll give it a shot, but I'm rusty enough to lose immediately. Note: Though Showdown does not have the evasion clause activated in Ubers, it is still on for this tournament. JKYL, since you're playing Showdown at the moment, what's your name on there so that I can add your PS username on the list? You know, the very first tournament we had here was called "The 4th of July Tournament." Alright, the bracket has been posted. Landon vs. Jpg and Cladstn vs. JKYL for the first round. PM your opponents and set up a schedule to battle! Post the winner of the match and the score. Good luck and have fun! The tournament has been postponed until further notice. Username will be whatever I feel like when I join. Alright, the brackets are posted. I don't think tournament hosts usually join their tournaments, but for the sake of hurrying this tournament up, I will.